Drive employee engagement, conquer internal communication, master your intranet, and help your organization achieve success with our vast collection of ebooks and guides. All of Axero's ebooks are free to download and share with your colleagues and coworkers. Learn how to improve employee engagement with social intranet software. Keep everyone informed, generate and cultivate new ideas, and give employees the info they need to do their job. Read on for expert advice on decentralizing your intranet governance, eliminating those productivity-killing bottlenecks, and empowering your employees to use the intranet to its full potential. Get a high level view of the differences between intranets and extranets. You'll gain insight into extranets of the past ... and learn just how important social intranet software is to the future of your business. 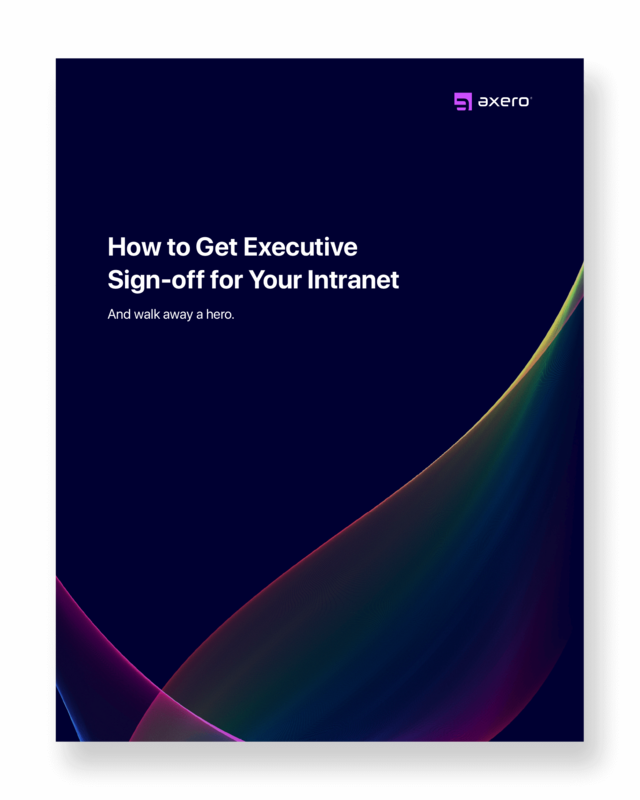 Discover the four specific issues that executives care about most - and that an intranet can solve quickly, easily, and cost-effectively. Use this information to make your case to for a new intranet for your organization. Straight from some of the happiest workplaces in America, this easy-to-read, information packed eBook covers 22 practices that will instantly help you increase employee engagement in your company. It's likely you agree that employee engagement is important to your business. However, you may find it challenging and difficult to come up with ideas that actually work. Here's 49 ideas you can use. Having a healthy internal communication strategy is critical to business success. Learn the symptoms of an ailing internal communications strategy, and discover the "treatments" that will get your strategy on-track and thriving. The success of organizational change lies in the reactions of people, and internal communications play a critical role in change management. With the right communication tools, you have the power to help your company achieve its biggest successes. 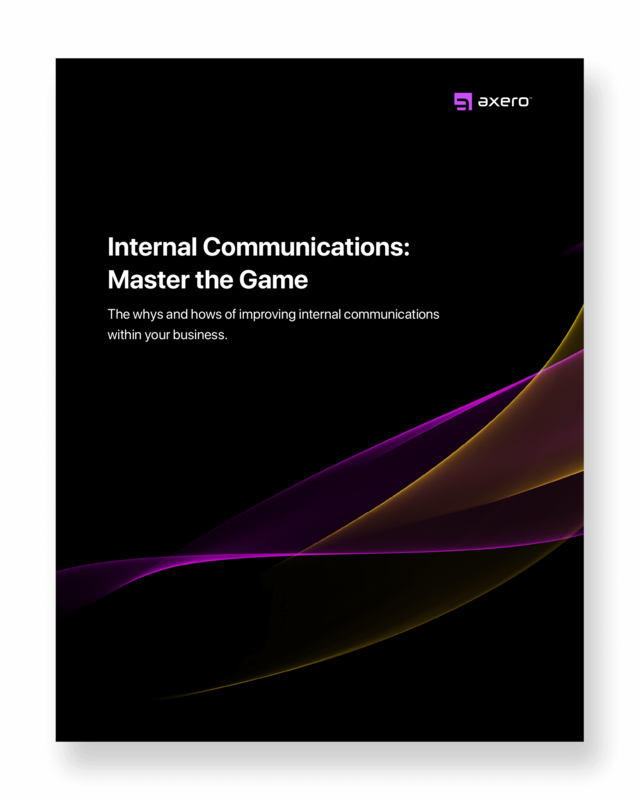 Learn why effective internal communication is essential for your business to thrive, how to improve your internal communications, and actionable tips and advice that you can start using today. Whether you're seeking to inspire employees, trying to guide an organization through change, or simply trying to bring everyone together, storytelling can work wonders when used in internal communications. With the right collaboration tools, you can empower your employees to innovate, improve productivity, and make better decisions. Learn how collaboration software fits into your business. You'll get an understanding of document management and how you can utilize a document management system to benefit your business. Highlighted are features, benefits, and tips for implementing a document management system. In this ebook, you'll gain an understanding of knowledge management and how you can utilize a knowledge base to benefit your business. Learn how a social knowledge management system will help you build a living library of helpful documents, instructional materials, and self-help information ... all to benefit your business, customers, and partners. Understand how your company's knowledge base can function like a repository, containing critical information that is important for the daily functions of your business ... as well as its long-term success. There are five main reasons those digital-text miscommunications are happening in your business today - and you can do something about it. Read on to find out how to avoid the communication barriers of chat and text. Gamification is a great way to encourage behaviors and incentivize activities in the workplace. It triggers the reward compulsion loop in employees' brains and turns mundane, tedious tasks into opportunities for reward. Learn more. 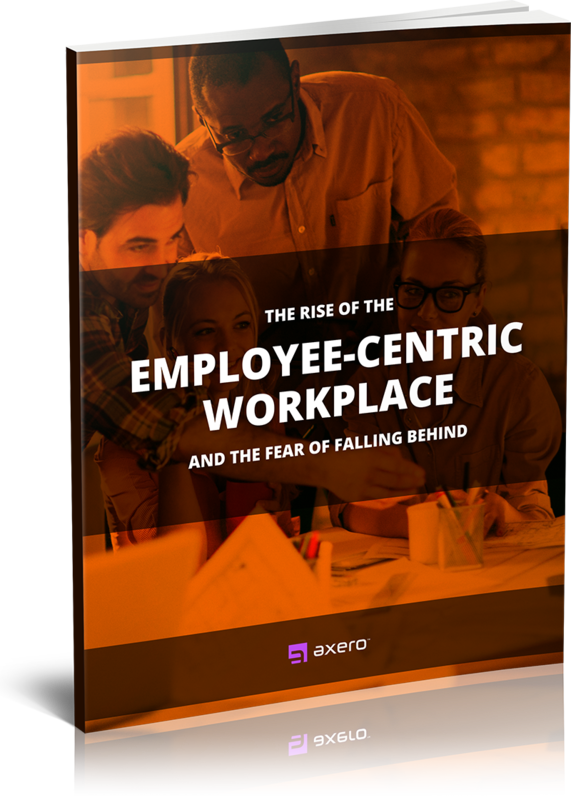 Today’s world is employee-centric. If you take care of your employees, they take care of you. Better yet, they take care of your customers. Learn how to better connect, communicate, and collaborate with your employees. Read this informative eBook to get practical advice on buying a social intranet and how it can help your business communicate better, increase productivity, and collaborate with each other better than ever. Get an in-depth look at some of the most important features of a great social intranet. This ebook will help give you the confidence and knowledge you need when evaluating social intranet software for your business. You'll get an understanding of the differences between single tenant and multi tenant business software, the pros and cons of each, and why Communifire provides a clear case for single tenacy. You'll gain insight into how email is being phased out of businesses and how social collaboration software is taking it's place -- you'll discover why companies and employees are spending more and more time with shared social components outside of their email inboxes. Enterprise collaboration software is a powerful tool for modern businesses. When properly utilized, it can streamline your business processes, keeping you and your employees on task at all times ... while eliminating many of the stressful aspects of the workday. No doubt social has its costs, but can such costs be justified with a measurable ROI? We believe so. Learn how in this free guide. In this guide you'll get a transparent insiders perspective into what you are paying for when you buy social business software. Download the Communifire Overview and take it with you. Share with your boss, your co-workers, or anyone else.